We deeply appreciate how you helped while we were purchasing our condo. When we asked a question or needed your expert advice, you did no delay in responding. Your donation to the MS&C Foundation means a great deal to us. You can be assured that we will recommend you to anyone who shows an interest in buying or selling real estate. You make the difference, not just because of your real estate knowledge, your professionalism and your savoy with people, but because you sincerely care about your clients! - Warren G. & Rita K.
Maryann Casey was our agent, and was extremely helpful in the process of selling our house and the eventual packing and moving of some of our belongings, mostly on her own without our being in Florida during the move and closing. She was responsive to our needs and helpful in advising us in many areas. We are happy with the results and wanted you to know that Maryann really was a big help in the whole process from listing, showing, and advertising the house, to selling it and helping right through to the closing. 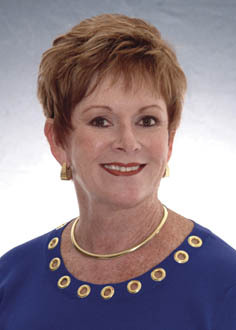 - Tom & Elaine O.
Maryann Casey is the consummate real estate professional, extremely knowledgable with the highest integrity. She helped me complete more than a few transactions that had stymied both sides. She is always willing to go the other mile. In today's market of short sales, Bank REOs, and foreclosures, transactions are often quite complex. Title issues and liens are unclear. Her ability to stay calm in the face of these uncertainties was a major factor in the success of these transactions. I consider Maryann a good friend who is always straight with me and I would recommend her to any would be real estate buyer or seller. Maryann is a good listener, knowledgeable and a pleasure to work with. She gave us the confidence that she would handle anything that was needed to be done. Since we were purchasing a villa in Boca Royale in Englewood and we were in ILL. it was great to have Maryann on our side. Awesome experience, very professional, realistic and easy to deal with. would highly recommend Maryann to anyone I know.